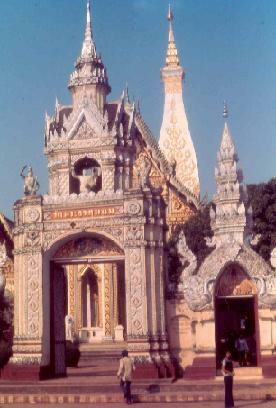 Located a short drive from NKP was the temple of Thatphanom, famous for it's Buddist temple, which legend claims contains sacred Buddhist relics in a golden container. We made several trips there to enjoy the scenery and of course the great Thai food. 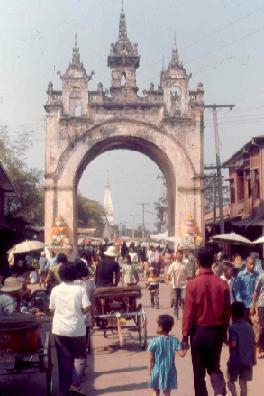 Entering the village through the main gate. 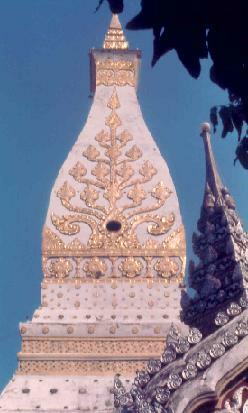 The great tower or Prang highlighted in gold. 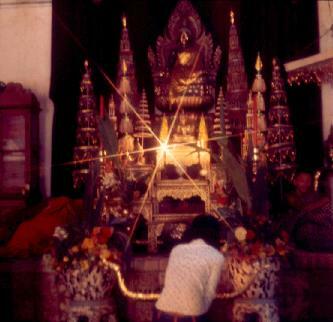 Inside the temple with the golden Buddah. 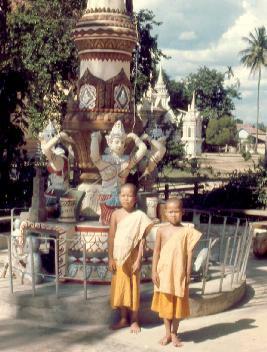 Two young monks pose for a picture.